Gothenburg is more than just a place… it’s a state of mind. Gothenburg boasts over 3,700 residents and is a charming city with tree-lined streets, lovely homes, manicured lawns, specialty shops, business district, green parks, exercise trails and a quality of life desired by many. Opportunities for business, families, adults, children and the elderly are abundantly available in Gothenburg. 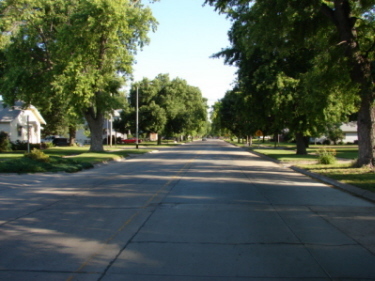 Gothenburg, Nebraska should be investigated for those who dream of the benefits of living, working and playing in a small town. Clean water, crisp unpolluted air and natural as well as man-made amenities, give credibility to Gothenburg’s promise for an uncompromising lifestyle for people of all ages and walks of life. The people of Gothenburg honor their legacy with values that include a strong work ethic, time for recreation and a place to grow and appreciate life. There is a collective pride in improving and maintaining public and private property. There is collective ambition to provide new and innovative economic opportunities for existing citizens as well as newcomers. People in Gothenburg enjoy all the benefits a small town has to offer. That includes a variety of sports, as well as outdoor and leisure activities. 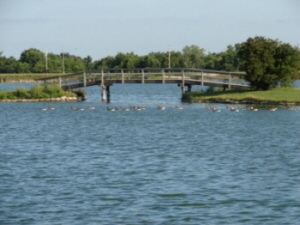 Parks along the beautiful tree-lined Lake Avenue offer a popular place for family gatherings and community festivals. History buffs can find a wealth of information at the Pony Express Station and the Sod House Museum. Historic homes grace the streetscape offering a picture of various architectural styles. Recreation opportunities abound. Whether it’s tennis, volleyball, baseball, swimming, water sports, hunting or fishing, you can find it in Gothenburg. Amateur or pro, you can golf at a nationally ranked 18-hole public course, Wild Horse Golf Club. Cowboy hats and boots are also a regular sight at the annual July Rodeo and on summer weekends. Park your horse, your car or your RV. Although agriculture is still the economic mainstay for the area, industrial growth has continued through the addition of substantial companies like Parker-Tech Seal Division, Land O Lakes, Monsanto Seed Research, Baldwin Filters, Frito-Lay, and Hipp Wholesale Foods creating in excess of 400 jobs in the community. Gothenburg’s central location offers strong regional markets and access to all parts of the country. Located less than one mile from Interstate 80, more than 16,000 cars and trucks pass Gothenburg Exit 211 every 24 hours. The Union Pacific Railroad also comes through Gothenburg with its busiest rail corridor. Over 160 freight trains pass through every day. A receptive business environment, a productive workforce and an ongoing commitment to economic development will continue to attract businesses that seek a place to operate profitably. Stay for a day, a week or for as long as you like. Our door is always open and the welcome sign is always out. High School Graduation Rate is consistantly over 92%. More than 80% of the students go onto post-secondary education. Over 90% proficiency rate in the 2006 Statewide Writing. We have 10 computer labs located throughout the school and the computer ratio is 1 computer for every 3 students. Gothenburg graduated Four National Merit finalists and one semifinalist over the past 7 years. One totally interactive distance learning lab and two satellite distance learning labs are available. Grades K-8 average Accelearated Reading scores are more than one grade level above students' current grade level. Over two-thirds of the 7th through 12th grade students participate in at least one or more of the 20+ activity offerings. 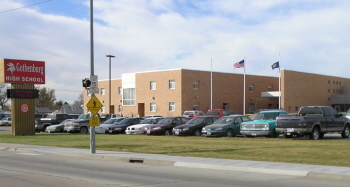 The mission of the Gothenburg Public Schools is to provide education through strong instructional leadership, a safe and positive learning environment, continuous assessment of pupil progress, quality staff development, and a partnership in learning with parents, the community and private business. The Lake Helen Recreation Area on the north edge of Gothenburg features activities for the whole family including fishing and picnicking. There is also a paved exercise trail, a 9-hole frisbee golf course, three sand volleyball courts and a historically registered covered bridge. 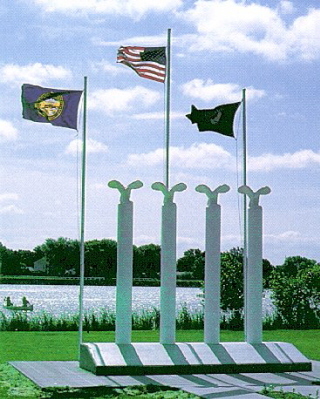 Located on the west shore of Lake Helen is the VETERAN'S WAR MEMORIAL. This memorial is a reminder of sacrifices made during all wars by veterans and their families with the names listed to commemorate local residents who gave their lives. 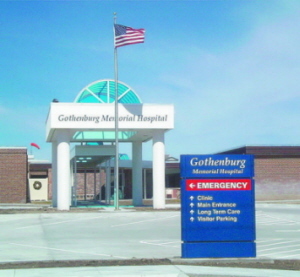 Gothenburg Memorial Hospital is a Critical Access Facility serving the needs of Gothenburg and the surrounding area. The existing building was built in 1969 with a 3.5 million dollar addition and renovation project completed in 2004 to provide up-to-date medical care in our service area. Services include COMMUNITY HEALTH SERVICES, CARDIAC REHABILITATION DEPARTMENT, LONG TERM CARE, OBSTETRICAL SERVICES, PHYSICAL/ OCCUPATIONAL AND SPEECH THERAPY, and a recently remodeled WELLNESS CENTER. Gothenburg Memorial Hospital is dedicated to providing quality, cost effective healthcare services and to promoting the wellness and quality of life in our service communities. Of the few Pony Express Stations remaining in existence, two are located in Gothenburg. The Pony Express Station in Gothenburg's Ehmen Park is a main attraction for tourists. Displays of items used by our forefathers are kept in the station. This station was moved and relocated from the Upper 96 Ranch where it was originally used by the Pony Express riders and as a stage stop. Early in 1931, Mrs. C. A. Williams, realizing its historic value, donated this building to the Gothenburg American Legion, who dismantled it and rebuilt it in Ehmen Park. It was dedicated to the memory of the Pony Express Riders and the pioneers of the Old West. The museum has been open to the public since the early 1950s. "BEST Golf Course in the United States with Green Fees Under $50 Dollars" by Golf Week Magazine. 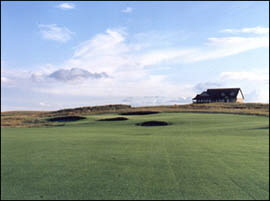 "21st Best Modern Course in the United States".